Seems like some of the retailers are not ending their Black Friday and Cyber Monday sales just yet. The likes of Amazon, Best Buy, B&H, and Target are still offering some great deals on many popular products. And while browsing through the lot, I stumbled upon these deals by Best Buy on the Samsung Gear S3 and the Gear Sport. 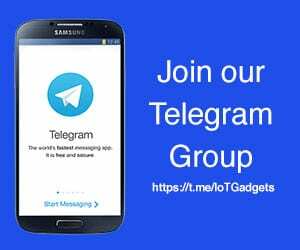 The retailer is selling the Samsung flagships with a whopping discount of $100. 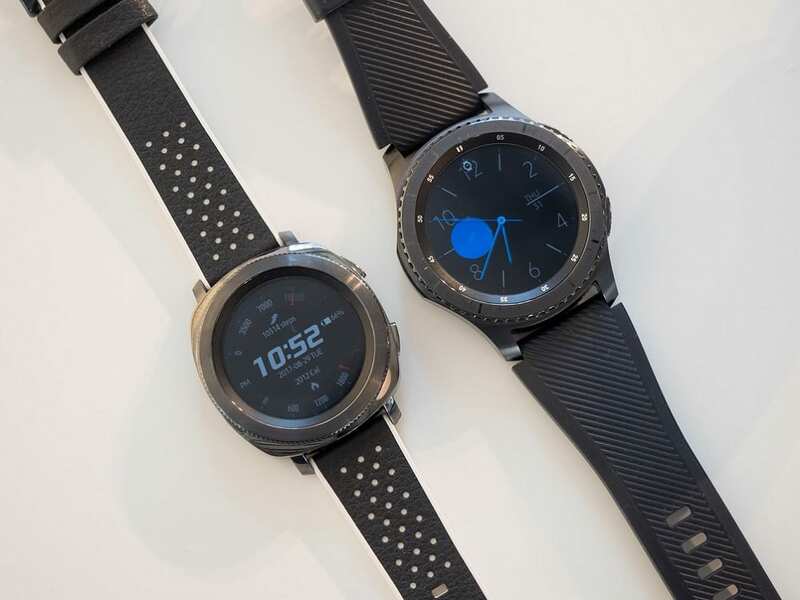 The latest Black Friday and Cyber Monday deals saw the prices of various smartwatches and fitness trackers drop to their lowest ever. And those prices have shot back up now, barring the Gear S3 and the Gear Sport at Best Buy. 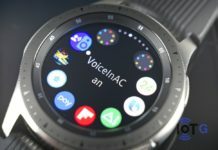 The $300 priced Samsung Gear S3 is currently selling for just $199, with FREE shipping. You even get the option to pay the price over six months at zero interest with the My Best Buy Credit Card. 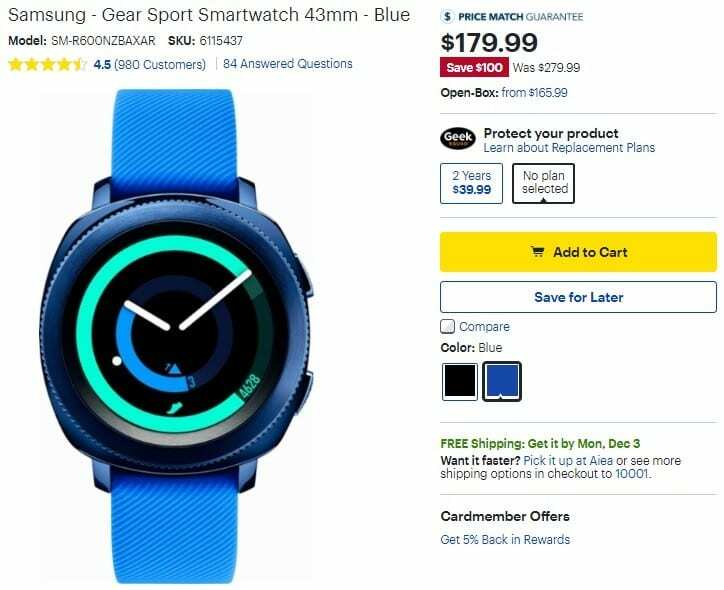 Best Buy is also selling an open-box Gear S3 at $184. If you prefer the Gear Sport, the watch is currently on sale for $180, with an instant saving of $100. Also, Best Buy will ship the device to your address at no additional cost. An open-box Gear Sport, meanwhile, is on sale for $166. 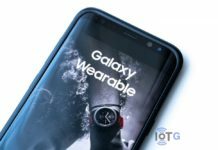 Best Buy also lets you choose between all the available variants of both the Gear S3 and the Gear Sport. The former comes in two choices, Frontier (Dark Grey) and Classic (Silver), while the latter is available in Black and Blue. Remember that these are limited time deals and are valid only till stocks last. Click on the links below to head on to Best Buy now. Not sure which one to buy? Read our detailed comparison here. 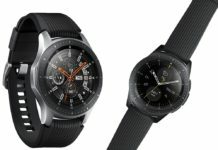 Meanwhile, the latest Galaxy Watch is currently selling for its lowest ever price of $260 ($280 for 46 mm mode). 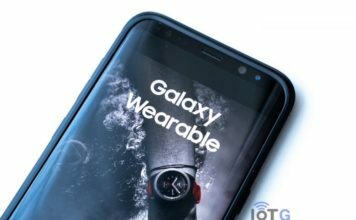 Read our comparisons to find out how it is different from the Gear S3 and the Gear Sport.